Liposuction, also called lipoplasty or suction assisted lipectomy, removes areas of excess fat to smooth and reshape particular areas of the body. This procedure can slim hips and thighs, flatten the stomach, shape calves and ankles or remove a double chin. Liposuction is really effective in removing excess fat that you can’t get rid of with diet and exercise. The procedure involves inserting a thin metal tube through small cuts in the skin around the area where the fat will be removed. The tube, called a cannula, is moved back and forth through the fat tissue to break it up. The fat is vacuumed out through the cannula, which is attached to a suction pump. Liposuction is done under either local or general anaesthesia. If only a small amount of fat is removed, or only one or two areas of the body need treatment, liposuction can be performed with local anaesthesia. This means that only the treated areas will be numbed and you will be awake during the procedure but you won’t feel any pain. Liposuction done under local anaesthetic can be performed in a surgery, rather than hospital. Liposuction can be performed on any area of the body where there are pockets of excess fat. Mostly, liposuction is done on the stomach, hips, buttocks, back, breasts, thighs, knees, calves, ankles and upper arms. You can also have liposuction done around the face and neck. There are also options for non surgical liposuction in Melbourne. These days, most surgeons use ‘wet’ liposuction, where they inject a ‘wetting’ solution under the skin where the fat will be removed. The wetting solution contains salt water (saline), epinephrine (narrows the blood vessels to reduce bleeding) and a local anaesthetic. This technique can be ‘wet’, ‘super-wet’ or ‘tumescent’, which refers to how much wetting solution is injected before performing liposuction. Wetting solutions have improved the safety of liposuction, and reduced the amount of time needed for recovery. The other differences in technique relate to how easily the fat is removed, and are variations of the traditional Suction Assisted Lipectomy (SAL), where fat is removed from the body using vacuum suction. The other methods (Ultrasound assisted, Power or Mechanical assisted, Laser assisted, or Water-jet assisted) loosen the fat away from the underlying muscle layer and dissolve it so it is easier to vacuum away. The easier it is to remove the fat, the less damage is done to the surrounding tissues, resulting in a quicker recovery. Your surgeon will choose the appropriate technique based on his experience, expertise and on your particular requirements. You can discuss all of the options with your surgeon during the first consultation. Liposculpture is essentially the same thing as liposuction, but is used to create a more toned and athletic contour than liposuction. Liposuction removes a higher volume of fat, and smooths out the shape of the body. Liposculpture uses a smaller cannula and can add more definition to the treated area. For example, liposuction will flatten your stomach, but liposculpture can give you a ‘six-pack’ of defined abdominal muscles. Theoretically, traditional liposuction can give the same results as liposculpture, but both rely on the skill of the surgeon. Liposuction is not a weight loss remedy. However, depending on how much fat is removed, you will weigh a little bit less than you did before having liposuction. Liposuction smooths out the shape of your body; it is not a radical transformation. The good news is that the fat cells don’t grow back, so if you do gain weight after liposuction, the treated areas will stay about the same, although you may end up with excess fat in other parts of your body. Liposuction can’t remove cellulite, which is a fat layer just below the surface of the skin, rather than the deeper fatty tissue removed by liposuction. Occasionally, cellulite can appear worse after liposuction because the skin is not as tight as it was before. In most people, the skin will shrink to fit its new size over the recovery period. If it doesn’t, excess skin can be removed surgically. Some surgeons treat the underside of the skin with lasers to help the skin tighten as fat is being removed. Recovery time will vary, depending on how many areas have been treated. Generally you can go back to normal activity levels within 2 to 3 days. You may need to take a few days off work to rest and avoid strenuous activity (heavy lifting, intense exercise) for about a month. You should continue to wear the compression garment for 4-6 weeks. The compression garment reduces swelling and bruising, and helps the skin to shrink back over the treated areas. The final results of your liposuction are seen between 4 and 6 months after the procedure. The cost of liposuction varies between surgeons, and depends their experience, which method of liposuction is used and how many areas are to be treated in one procedure. Your requirements may be different from someone else’s, so the surgeon will want to assess you and give you a quote based on what he or she thinks will give you the best result. It is a good idea to get quotes from more than one surgeon. Medicare rebates are available for some liposuction procedures, but only apply if the procedure is medically necessary, rather than purely cosmetic. As a general rule, private health insurance does not pay rebates for these procedures, but check with your own insurance provider to make sure. The best person to speak to about that is a qualified plastic surgeon. He or she will take into account your medical history and talk to you about your expectations. Like any surgery, liposuction does carry some risks, so its important to be honest with your doctor about your medical history so they can take into account any factors which might make the procedure unsafe. The best candidates for liposuction are healthy men or women, who are not significantly overweight, but who have pockets of fat that won’t go away with diet and exercise. The best results are seen in people who have a good skin tone, so that the skin will shrink back after the fat has been removed. You may not be able to undergo the procedure if you are unable to have an anaesthetic, if you are prone to bleeding or have too high a risk for having surgical complications (e.g. diabetes or heart conditions). Ideally, you should choose a surgeon who you feel comfortable with and has lots of experience in performing liposuction. It is important that you speak with more than one surgeon before making your choice, and see what results they have been able to achieve with their patients. In Australia, any medical doctor or specialist can perform cosmetic procedures without the specialist training required of plastic surgeons. As a result, the industry’s reputation has suffered because consumers aren’t getting the quality they should expect. Look for doctors who are trained surgeons – they will have ‘FRACS’ after their name, and may use the title ‘Mr’, instead of ‘Dr’. If the surgeon you visit doesn’t have their qualifications on display, ask to see them. A surgeon who is a member of a professional association, such as the Australian Society of Plastic Surgeons (ASPS), or the Australasian College of Cosmetic Surgery (ACCS), will have completed a minimum 5 to 7 years of training and must work under strict ethical guidelines. Choosing a surgeon with ASPS or ACCS membership is extra insurance that you will get the result you expect with a lower risk of complications. Before you talk with a surgeon, have some questions prepared. Write them down so you don’t forget what you wanted to ask, and take a notebook to write the answers, in case you need to check details later, or you think of other questions. Think about what your expectations from the surgery are. Liposuction is not a weight loss solution, and can’t change the appearance of cellulite. Ask to see the results from previous patients. In Australia, doctors aren’t allowed to use ‘before and after’ photos in their advertising, but they can provide them to you in a consultation. What are your concerns about the procedure? 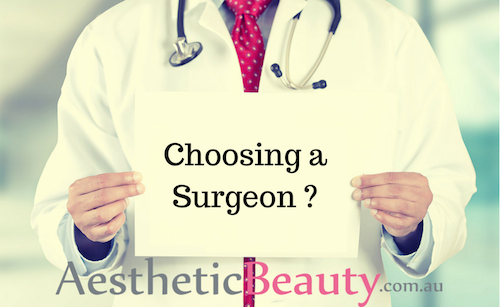 Are you worried about complications or side-effects of the surgery, or how much scarring there might be? The surgeon should provide you with this information as part of the consultation, but if you have particular concerns, the surgeon can give you the answers you need. You could also ask question about the surgeon’s qualifications and experience, how often they perform liposuction, where the surgery will be performed and what the costs include, so that you know if there will be any additional costs. Your surgeon will give you a list of instructions to follow before your liposuction. If you are a smoker, consider quitting, or giving up temporarily, at least 30 days before your surgery to reduce the risk of complications. Some medications also increase the risk of complications, so speak to your surgeon and GP about which medications are safe to use. It is really important to tell your surgeon everything you take, even if it isn’t classed as a medicine, before your surgery. Before the procedure, the surgeon will draw on your skin the areas where the fat will be removed. After that, the anaesthetist will give you either local or general anaesthesia, which is injected at the treatment site (local), or infused through a vein in your arm (general). At the same time, the ‘wetting’ solution will be injected into the areas marked on your body. Once the anaesthesia is working, the surgeon can begin removing the excess fat. Depending on how many areas are being treated, the procedure takes between 1 and 4 hours. You may need to stay in hospital overnight, or you may be able to go home within a couple hours. You won’t be able to drive because of the anaesthetic, so arrange for someone to drive you home. You will be a bit bruised and sore after your surgery, and for a few days after. Bandages will cover the cuts in the skin where the cannula was inserted, but you may need to take antibiotics to prevent infection. You will need to wear elastic compression garments over the treated areas, which will control the bruising and swelling, and help your skin to shrink back smoothly over your new body contour. You might be asked to get up and walking soon after your surgery to decrease the risk of developing blood clots. Once you are at home, prepare a ‘recovery area’ with pillows, ice packs, a thermometer and a telephone within easy reach. Someone should stay with you for at least 24 hours after you return home. What Are The Risks and potential Complications With Liposuction? All surgeries have risks, and liposuction is no exception. The risks include infection, shock, blood clots in the lung, haematoma, swelling and reaction to the anaesthetic. Your surgeon will provide you with information about all potential risks before your surgery and ask you to sign a consent form, to indicate that you have been told about the risks and you give permission for the procedure to go ahead. It is important that you understand the risks and what they mean before you consent, so don’t be afraid to ask questions. Complications from liposuction could include: temporary numbness or discolouration in the treated area; burns (from ultrasound assisted and laser assisted liposuction); damage to surrounding tissues or organs from the cannula; dimpling, wrinkling, or unevenness of the skin over the treated area; and fluid imbalance from injecting large amounts of wetting solution, which can lead to heart problems, fluid in the lungs or kidney problems. The more experienced and skilled your surgeon, the less likely these complications are to occur. Scars are an inevitable part of any invasive surgery. Your surgeon will work to minimise scarring and to keep your scars as inconspicuous as possible by making the incisions in easily hidden sites, or along natural skin lines and creases. Liposuction is one of the most popular procedures within the Cosmetic Surgery field. While advances in technology, equipment and refinement in surgeon’s skill have made this procedure increasing safe, it is still an operation and a decision that you should not take lightly. The information contained in this consumer guide is designed to be a starting point on your journey to exploring if liposuction surgery is for you and your body. The next and most important step for you in considering liposuction surgery, is to book a consultation with a qualified surgeon. Only a consultation with a qualified surgeon will identify if this procedure is right for you and what the potential risks and outcomes could be for you. Because liposuction surgery has been around for so long, with largely safe results, it is a very popular procedure. But, many people while wanting the end result of surgical liposuction, do not want the high cost, surgery or long recovery time. This has seen the rise of many non surgical options for reducing ones fat. Options in Sydney with VelaShape III is a non permanent liposuction alternative that needs maintenance treatments and empties the fat cells as opposed to destroying them (like liposuction removes them). Learn about new technology and techniques that have made liposuction safer, with quicker recovery times and better results. How do you know if the person performing your liposuction has the right skills and training? We explain what the qualifications mean and what to look out for. Differences in liposuction costs between clinics - we look at what contributes to the cost of liposuction as well as what you should be wary of, read more.